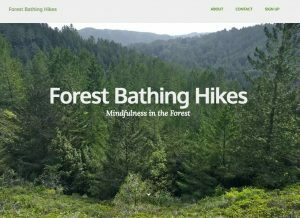 Context: Promote professional events and services of mindful, guided hikes. 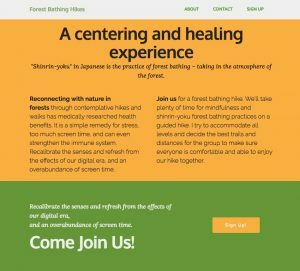 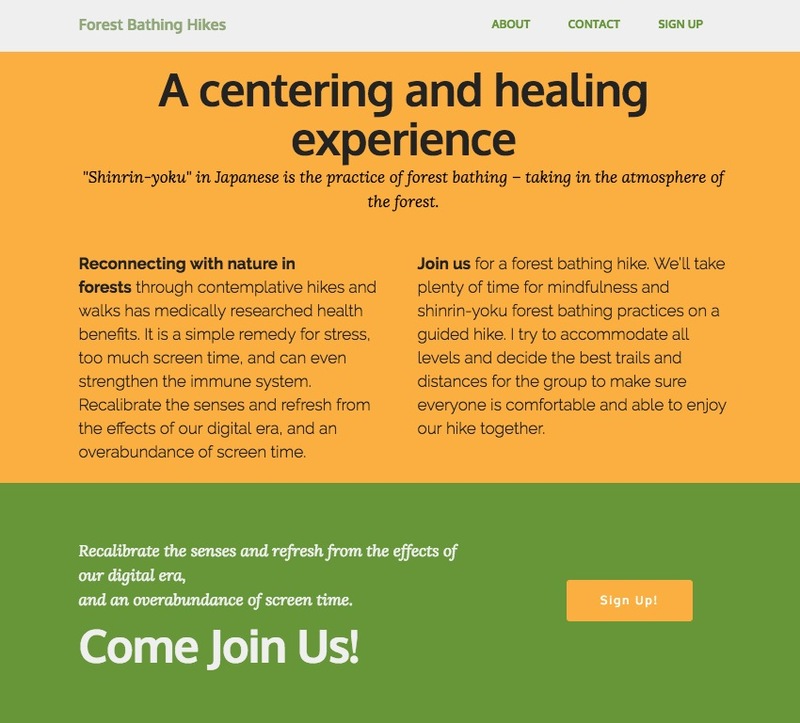 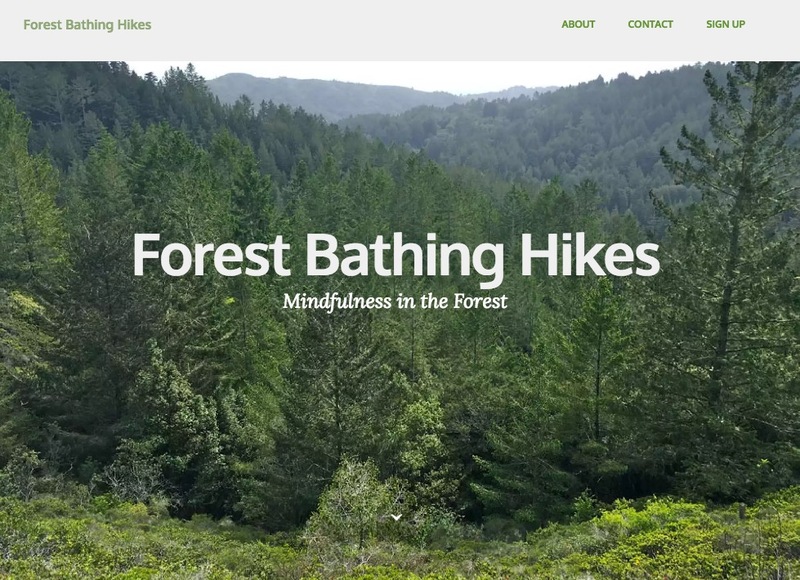 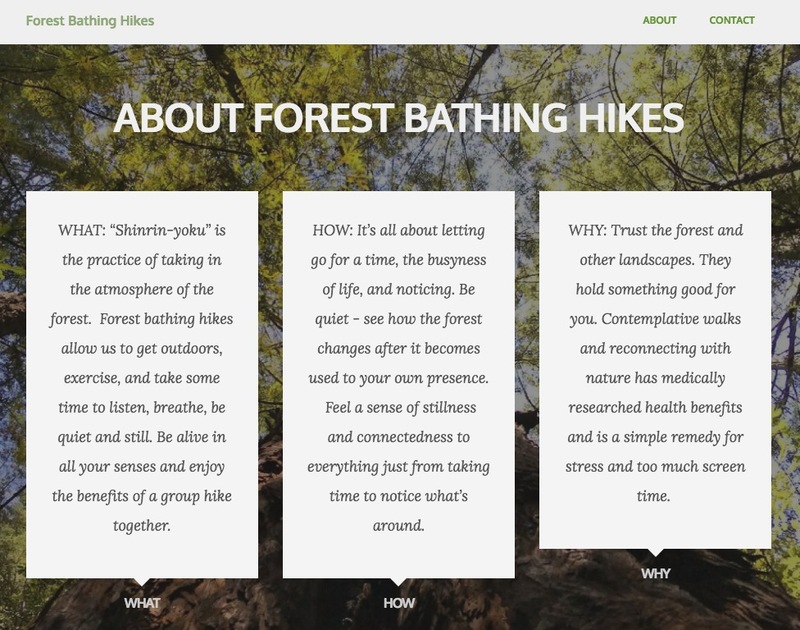 Market to an audience looking for wellness and nature benefits of guided mindfulness hikes. 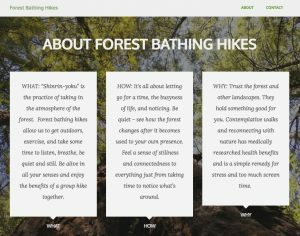 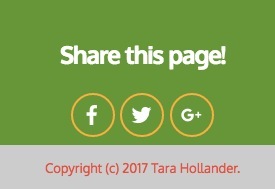 Who & When: The website was wireframed, developed and published in 2017 and is in the process of being further built out with more pages and features.